Silver rope necklace with Swarovski crystals by Otazu. 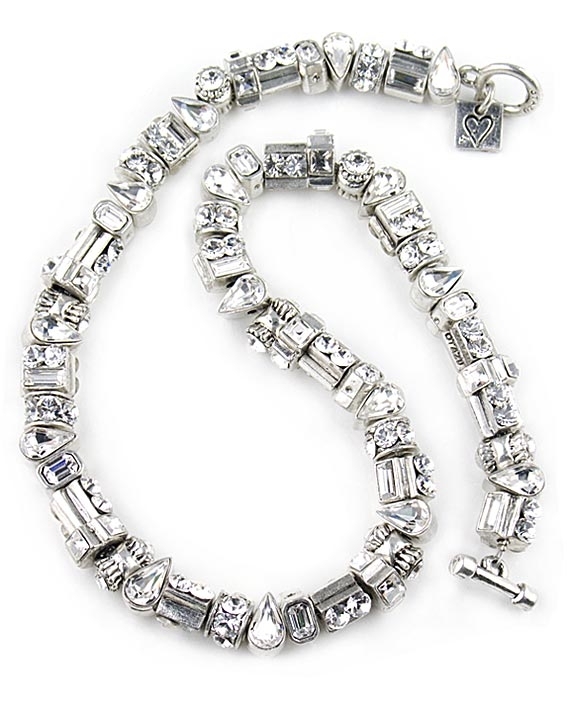 This striking designer necklace features different types of silver beads each one covered in swarovski crystals. Necklace measures 43.5cm / 17.1" in length and has the trademark Otazu charm on the toggle closure.